Such a poignant post…I had to share. This rosebud is never going to open. It is shriveling, it’s petals thin and weak. As soon as I saw it it made me think of all the people who are exactly like this bud, all the people who will never open. Those people who are born, but never become. They begin to die before ever living. 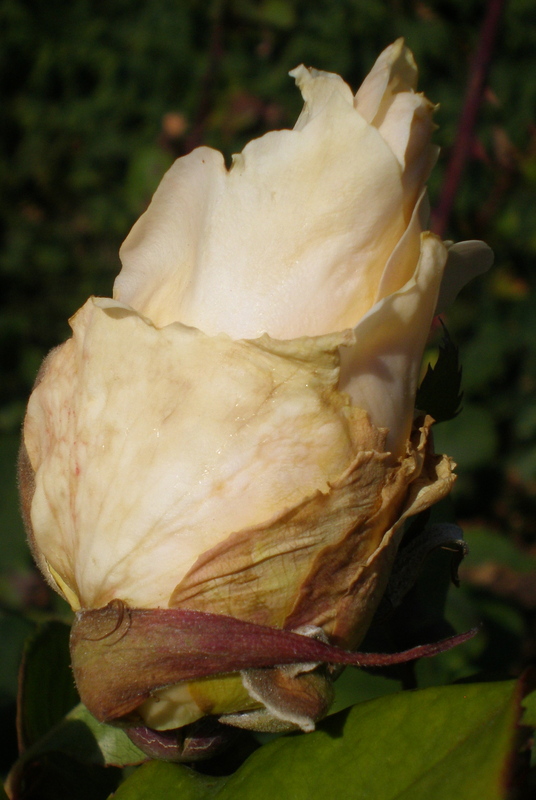 Unlike the bud, which is dying from blight or from weather conditions, people often die on the vine because of fear. Fear of any number of things. This flower showed me what it looks like to be one of those people.